The deadline for the public consultation conducted by the Dept. 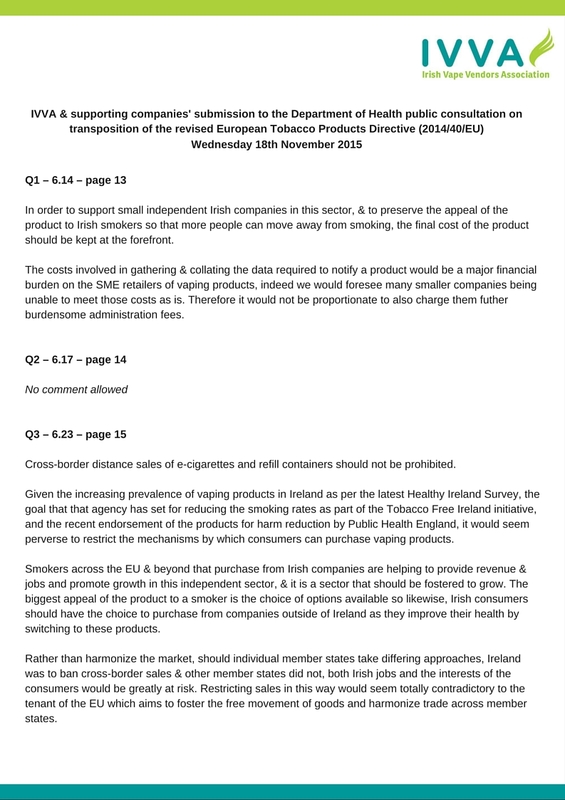 of Health on the transposition of the Tobacco Products Directive passed yesterday. While we fully welcome the Department’s call for submissions, we were disappointed by the manner in which the consultation was conducted. There was no draft legislation document or cost impact analysis included in the submission call. 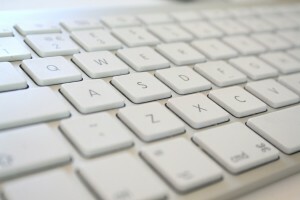 Additionally, there were only four questions that related to the non discretionary measures within Article 20, one of which did not present any opportunity for additional commenting, and as it was in the form of a SurveyMonkey link with strict character and word limits set, there was no opportunity to attach any supporting documentation. We therefore felt that it was important that the additional comment section contained our views on the question relating to the mandatory labeling. In addition, we felt that the consultation document somewhat excluded the opportunity to put forward views on the TPD as a whole, and so we welcome future stakeholder engagement as the transposition moves through the next stages. 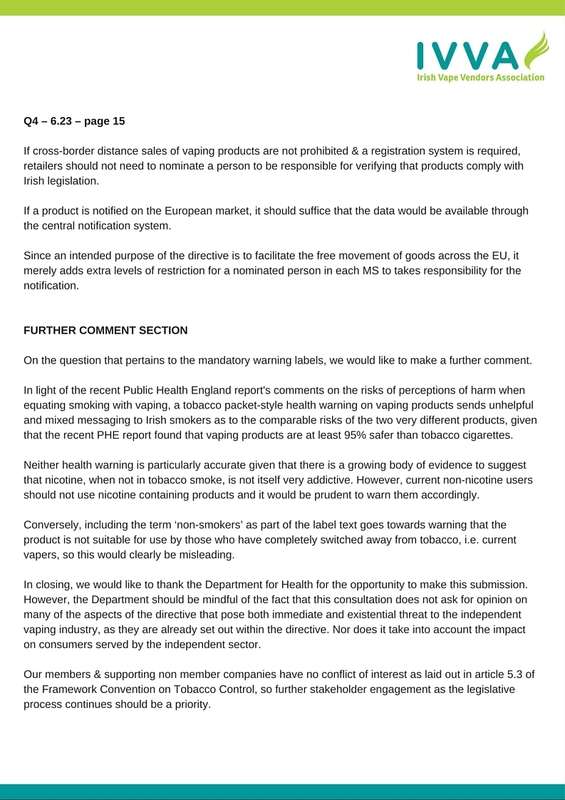 Below is the IVVA response copied in full, and we are happy to note that an additional ten supporting but non member companies joined us in the submission.